Groupon’s deal-of-the-day business model was once so successful that it raked in $950 million in a series D funding round, but in recent years its vouchers and coupons have lost their lure, forcing the company to explore other avenues to attract new custom. As such, Groupon has quietly relaunched itself as a kind of business directory, akin to the Yellow Pages. Unlike its more traditional rival however, Groupon still offers great discounts alongside its comprehensive listings, which means consumers not only find the service they need, but can enjoy great savings on them too. 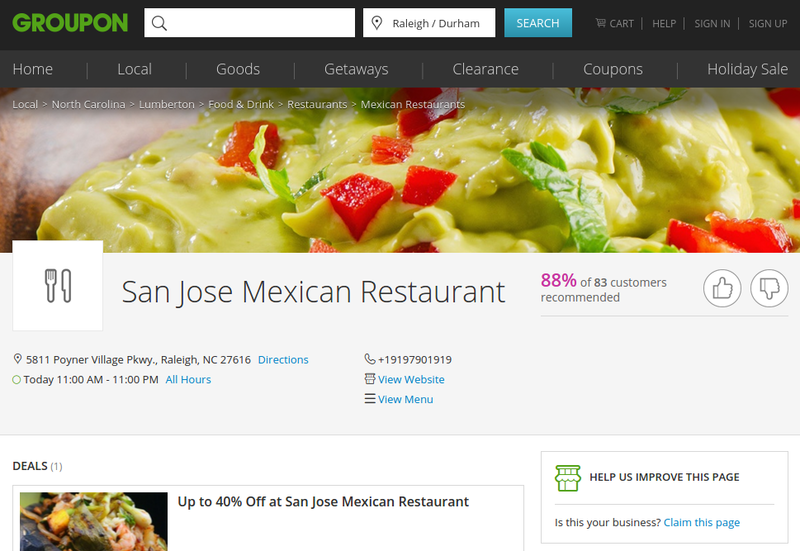 Check out this San Jose Mexican Restaurant listing to see what we mean.